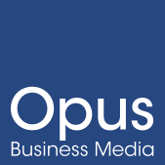 It is with great pleasure that Opus Business Media welcomes Ryan Lloyd to the editorial team. Ryan will be heading up Tomorrow’s FM as well as co-editing Tomorrow’s Health & Safety along with Sarah Robinson. Opus Business Media is pleased to welcome Martin Wharmby to its editorial team. Martin will be taking on the role of editor on Tomorrow’s Cleaning. Opus Business Media is thrilled to announce the launch of a new digital magazine for the laboratory science industry. Opus Business Media is pleased to announce the launch of a new digital magazine for the tiling and stone industry.